A beautiful zebra on a modern paint canvas. Our artist hand painted this deco animal canvas. Free 48/72 h delivery in metropolitan France and Belgium for this lounge wall canvas. 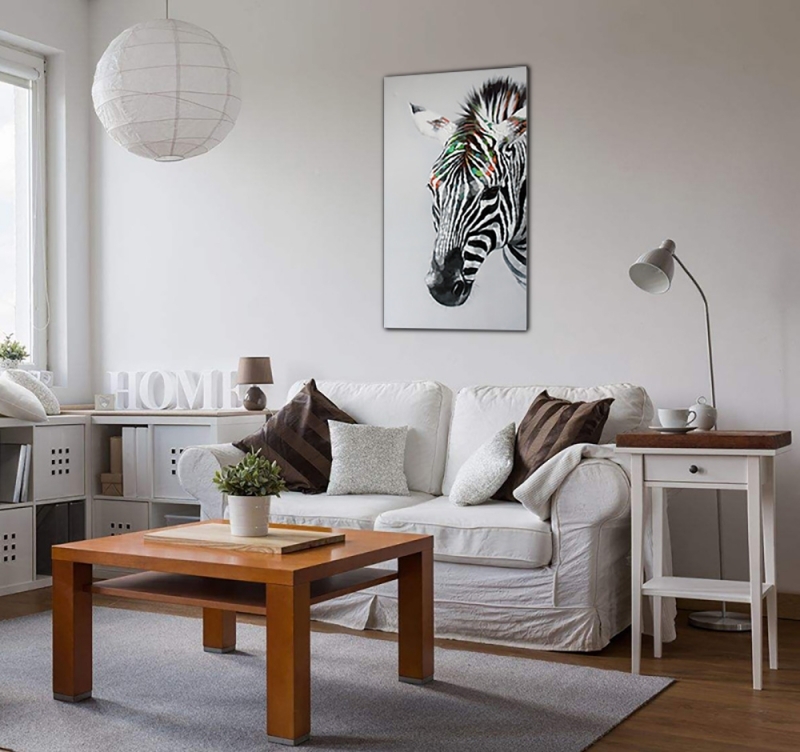 A zebra from another viewpoint, this black and white animal, on a brightly coloured contemporary paint canvas. 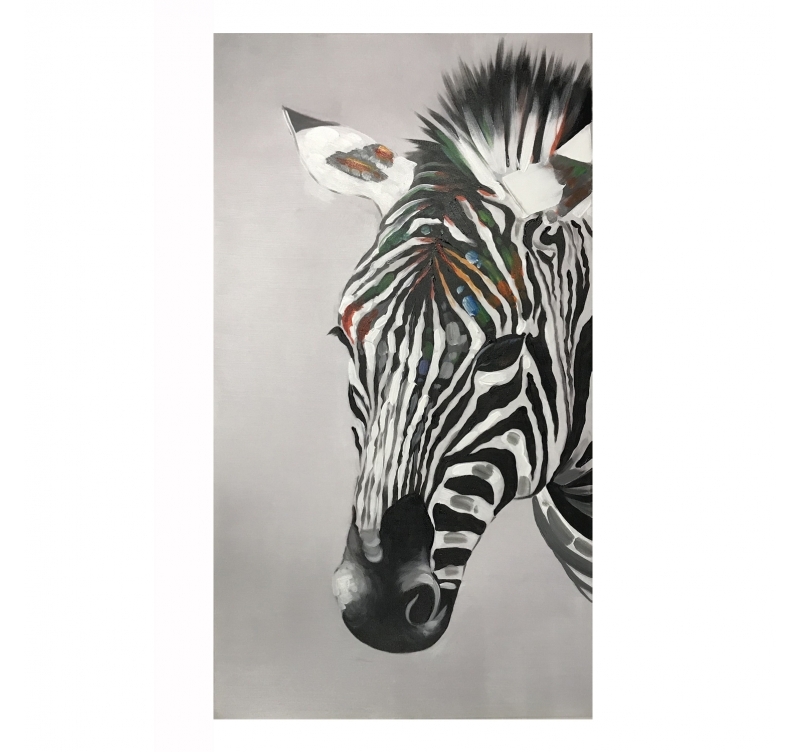 If you love nature and this unique and peaceful animal, this multi-coloured zebra painting is the work of art you need. In one piece, this hand painted animal wall decoration shows the facial features of the animal. A better than the real thing portrait on a design paint canvas for a wild interior ! 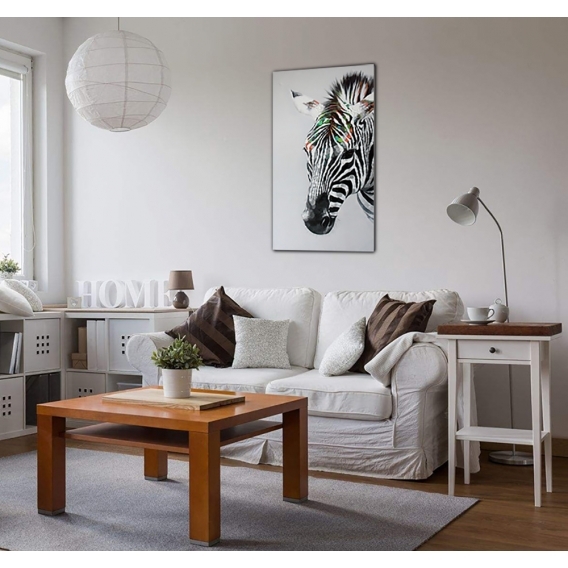 This original zebra canvas is stretched on a wood frame to ensure a top quality and long lasting finish. 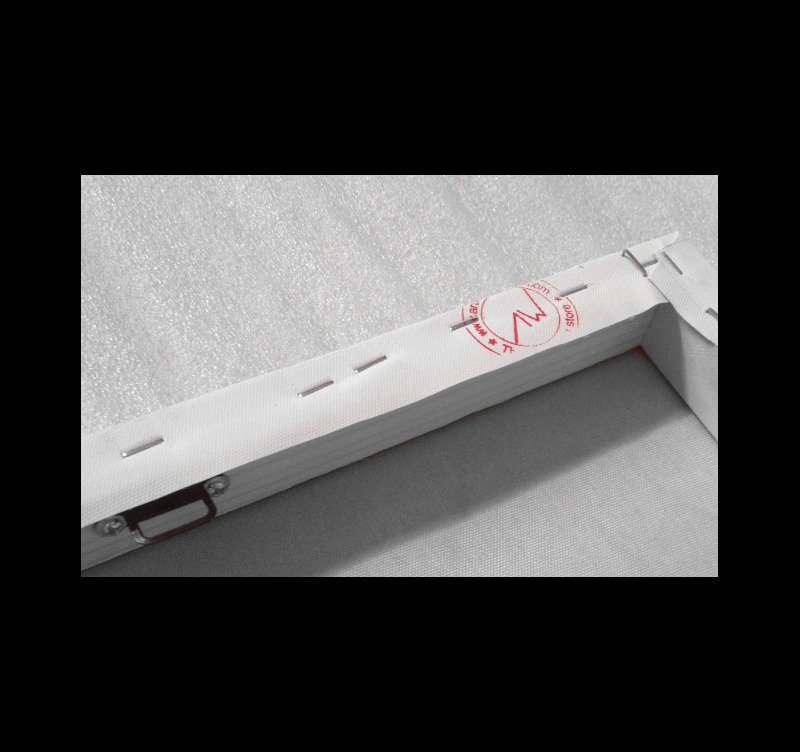 All the canvases in the paint canvas category are not reproductions and are hand painted by our Artwall and Co artists.